Things are getting messier for Apostle Johnson Suleman who is at the center of anadultery scandal. More people are coming out with alleged facts, some people who were standing by him are beginning to have doubts. Lagos based author and publisher, Julius Michael who was standing by and defending the founder of Omega Power Ministries, just retracted his support and added his reasons. 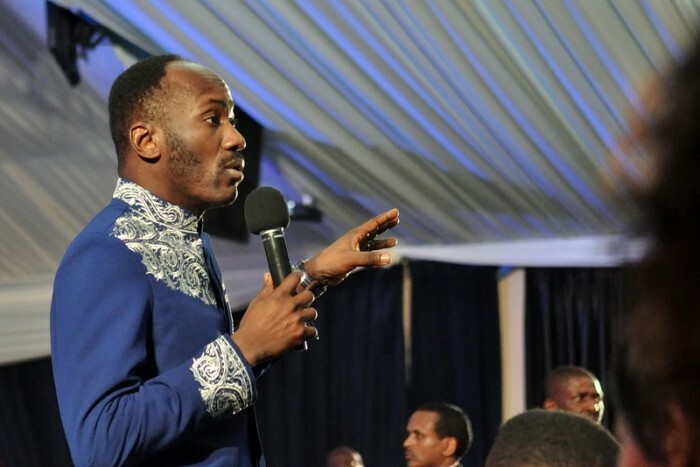 “This is to withdraw my statement of support towards Apostle John Suleiman of Omega Church Ministry which is dated on the 6th of March, this month as against the claims of Ms Stephanie Otodo. someone who likes to always say the truth no matter whose ox is gored- it’s on this note, I retract my innitial statement of support and solidarity- having been cleared to me that I gooved in my claims as a mortal man. 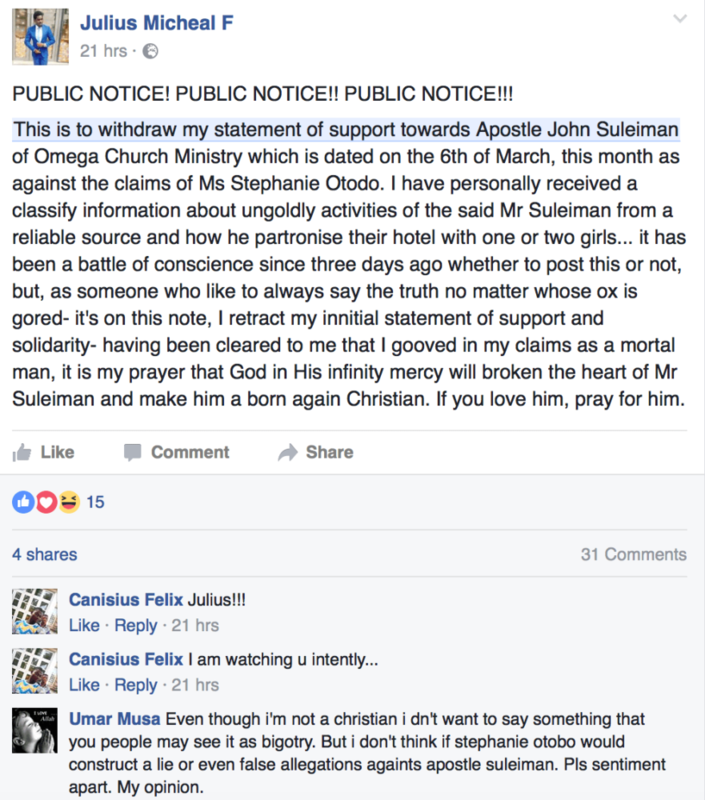 0 Response to "Man Withdraws Support For Apostle Suleman After Alleged New Evidence Emerges"